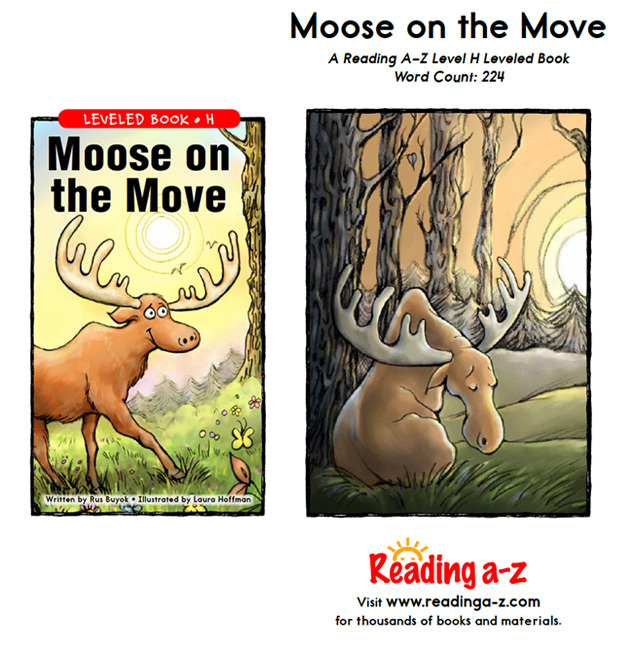 Right after last year's SCBWI's summer conference, I received an offer to illustrate a childrens book - a leveled reader for Reading A-Z, called "Moose on the Move." 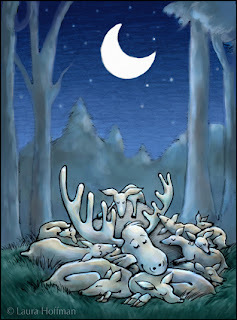 The book, published in November 2011, is about an inquisitive yet sensitive young moose - separated from his family, looking for friends he can live with. He just does not quite fit in. 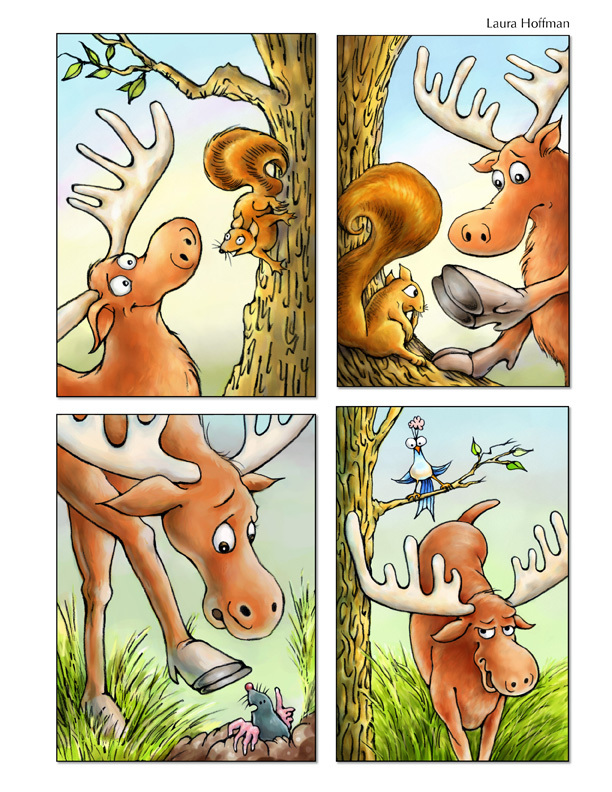 The first pages show the moose optimistically prancing through the forest, coming upon a squirrel that invites him to climb a tree. 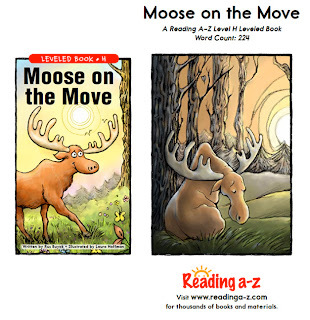 The moose’s eyebrows arch, his eyes widen while he studies his hooves, which are clearly not meant for climbing. As the story progresses, the frustrated moose receives an invitation from a bug-eyed bird to join him in the sky, but the moose has no wings. The moose sulks away, head down, eyebrows furrowed with a forlorn glance at the clueless bird. Later, when the same moose finds friendly deer he can relate to, our main character is illustrated with a smile of relief, ending a long day asleep with his new-found friends. For this project, I started with rough sketches, then refined as clean pencils and painted. The story takes place in one long day, so I had fun showing the transition of morning light to nightfall in the color scheme. With my background as a photographer, I pay a great deal of attention to light source, saturation and hue when painting in value studies and color. Coming up with the look and feel of the multiple animal characters in this book was exciting. The beaver was my favorite character - he deserves his own post, which is coming soon.